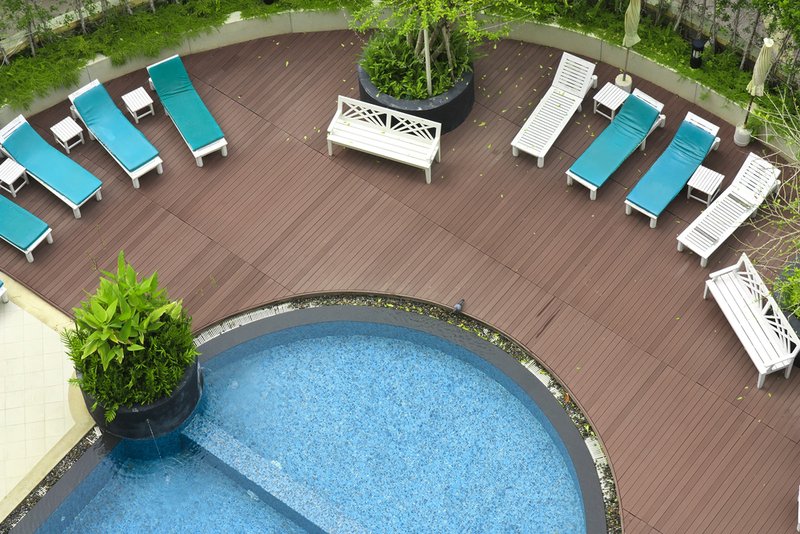 Choosing the right pool deck can be a challenge for your backyard. 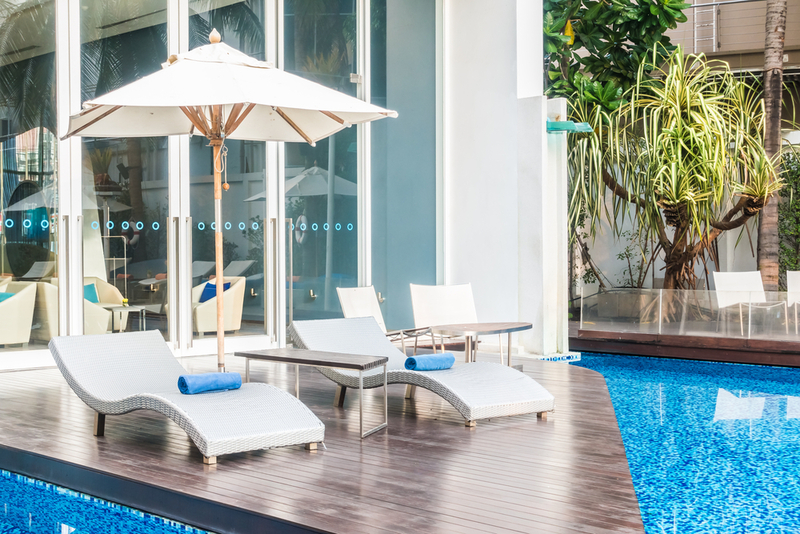 We've put together a list of some of our favorite pool deck ideas for you to choose from. The ideal deck for your pool could definitely turn your backyard from a fun place to spend the afternoon to a great place to hang out all day and even all weekend long. If you have the best possible pool deck ideas prepared you’re definitely going to see how great it can be for you and your friends. If you’re looking for something to improve the look and style you already have you just need to make sure that you’re creating a great looking deck. That requires you to talk with someone who really knows what it takes and what you can do. Their pool deck ideas are definitely going to make things easier for you. The cost of a new deck is going to depend on what size you want and several other things. It also considers what style you want, the shape and even the materials that you’re going to use. A standard deck that’s made out of wood is going to cost a lot less than a larger deck or one made of special materials. If you’re going to put in a small deck, like the plastic or synthetic material ones that are often used for above ground pools, you may spend a couple hundred dollars on something. These are usually not decks you’re going to hang out on because they’re way too small for that. If you’re going to build something you’ll spend a bit more money and you’ll definitely be able to hang out on that deck. You may be able to put some chairs on it or even store your pool toys and equipment. These decks can cost upwards of $2,000 because they’re specially made. So what can you do to create the ideal deck? Well you’re going to have to get a little bit creative or talk to someone who is a little more creative. Find out what it really takes to get a deck that’s going to be easy to use and super fun for your entire family as well. The key is finding a mix between practical and unique. 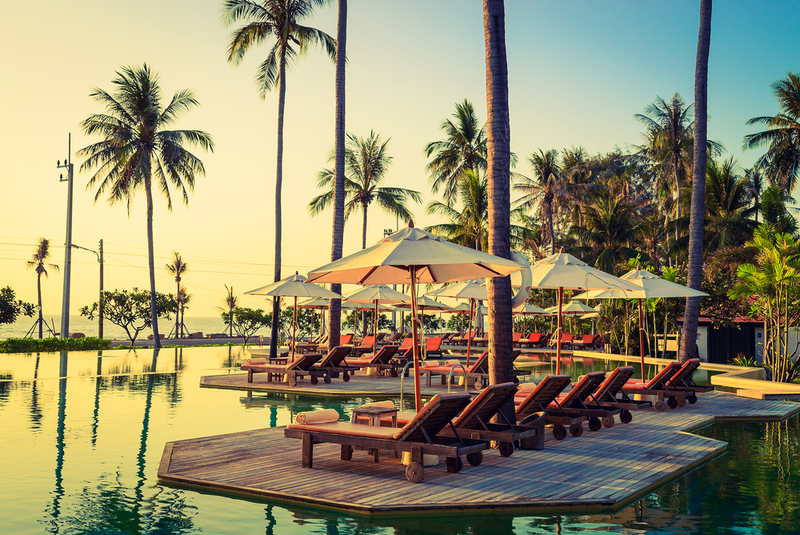 It’s not always an easy balance to make, but it’s going to create something that everyone who visits your pool is going to want to check out for themselves. It’s going to be a great place for you and them to get together. Think about how many people you’re going to want to spend time on that deck at the same time and how you want them to be able to gather around the pool. All of these things are going to influence the way that they can enjoy that deck and the way that you want to build it. They’re going to help you figure out the right type of pool deck ideas as well. So what are you waiting for? We’ve found some really awesome decks that are going to give you a good head start when it comes to choosing your design and making sure that you’re ready for the next pool party. It’s just about finding the right person to turn your great pool deck ideas into real actions. 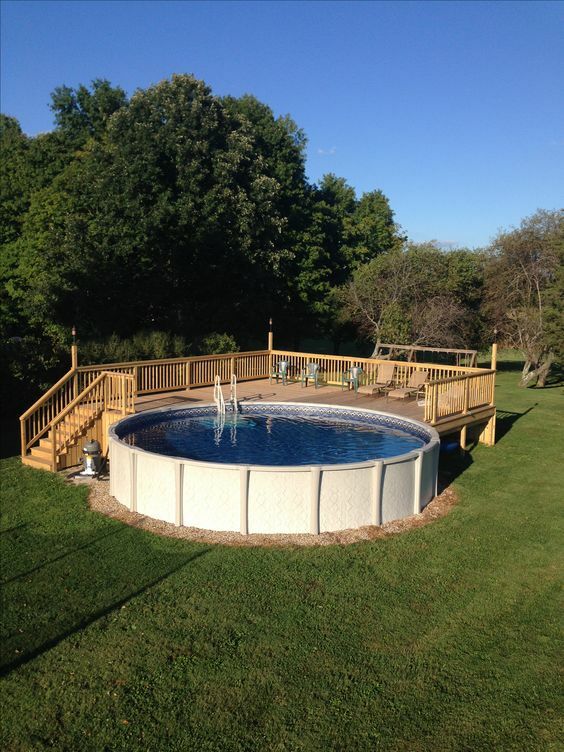 If you have an above ground pool this is a deck you will want to consider. It’s actually a smaller deck, but it’s still large enough to put a few chairs on and enjoy yourself. This deck is super easy to put together and it’s going to give you some space to gather together. You won’t even have to work too hard carrying everything up the stairs. This is definitely a nice deck and it’s a larger one too. 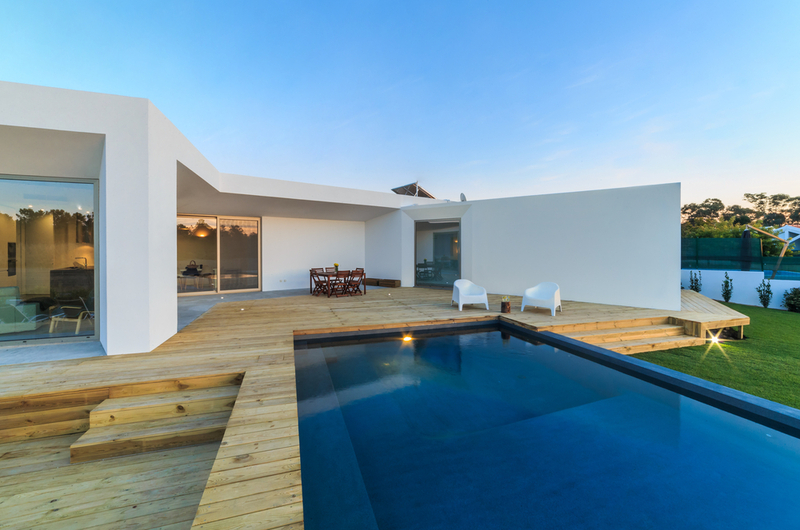 The two levels create an area for you to enjoy your pool directly and a place where you can gather around a table or two. Plus it’s super stylish. 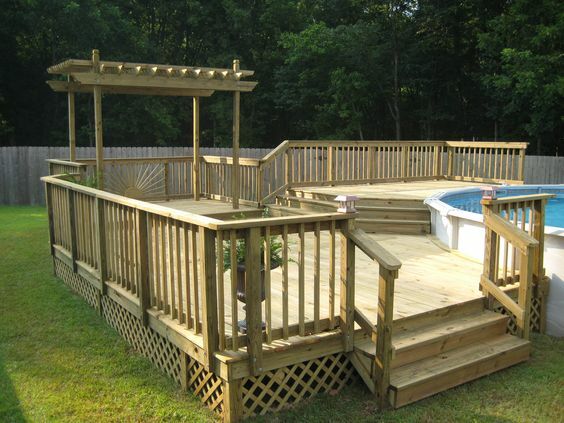 This large deck is very elegant and has plenty of space to surround the pool and provide seating and grilling. You’ll love gathering with everyone you know on this deck. 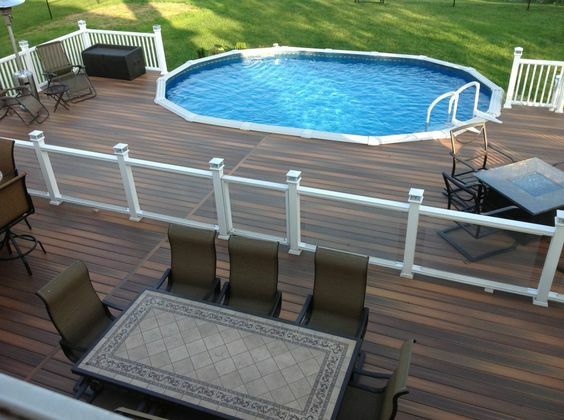 Here you’ve got a nice looking deck right up to the pool and a couple other areas for chairs or even a small table. The arbor in the corner adds a nice touch as well and so would some flowers or vines under it. 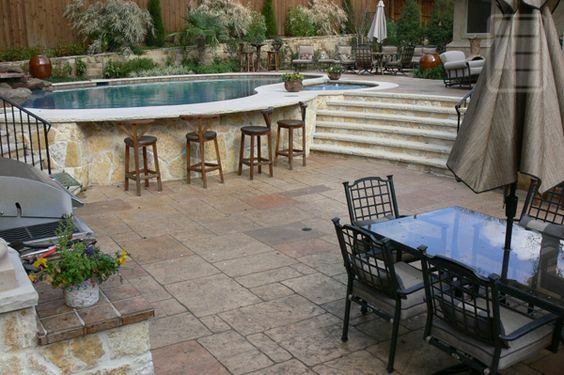 Here’s a unique stone deck that actually provides you with a bar right off the side of the pool. You’re going to have a whole lot of fun with this one and you’ll be able to get plenty of chairs nearby too. 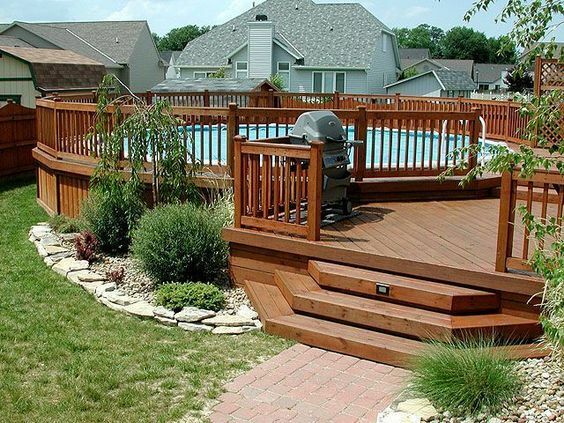 Now who’s up for a deck that’s not on the outside of the pool at all but right in the middle? This deck is definitely a unique option and it’s one that you’re going to want to try out for yourself. Here’s a way to get a deck that’s sort of outside the pool and sort of inside it. You’ve got a small deck with chairs and umbrellas that has a three-sided pool surround. This pool doesn’t have a full surround deck but the side that does is full of orange and bronze style stones. This really makes a unique and interesting layout, especially when you consider the other side is nothing but air. This deck is made entirely of stone and even has a nice little waterfall all the way at the end. It looks just like polished river stones, which really creates a rustic but still functional deck for your table and all your chairs. 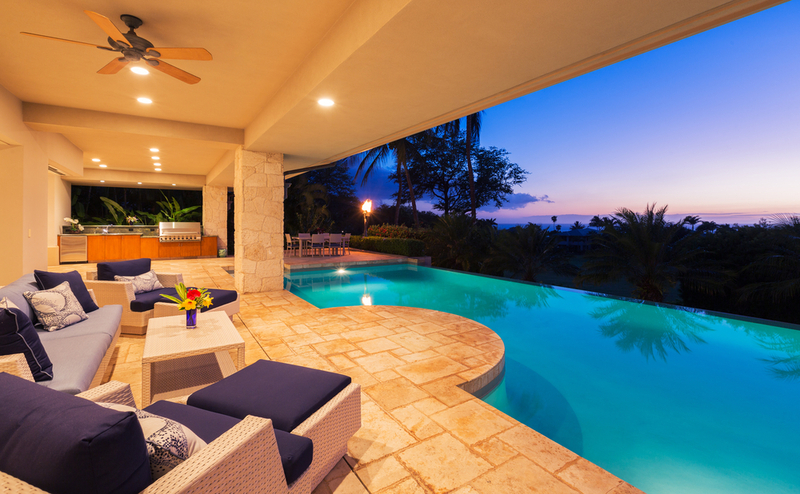 A rounded deck is great because it lets you relax and see all of the pool at the same time. There’s no where for the little ones to hide and not be seen. Plus, you get a great view no matter where you’re sitting. This is going to be the more traditional deck for an in ground pool because it’s just a wooden deck with enough space for anything you need. You also get a nice grassy ‘deck’ on the other side for everyone to play. Here’s a stone deck that looks rich and a little bit fancy. It’s also going to give you a more stylish appearance that you’ll love showing off and right next to it is plenty of green space for any games.